SailNet Community > Boat Builders Row > Morgan > Morgan 22? Hello everyone. 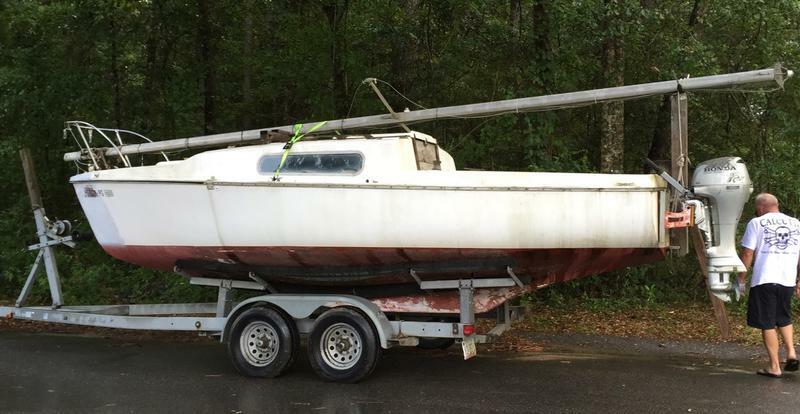 not sure if this is the right place for this but I'm thinking about purchasing my first sailboat which the owner has said is a morgan 22. but after some internetting the pictures that were posted vs the layout i found on sailboatdata.com don't appear to be matching up. was hoping someone could help me out with a yea or nay on if it indeed a morgan 22. thanks everyone. files below. Also the owner stated that it is "1972 Morgan 22'. Hull #115" but from what i understand production was stopped in 71. That's definitely a 22 but dont be surprised the layouts are different they sold some of those boats with kit interiors . Hull registration was just getting systemized. 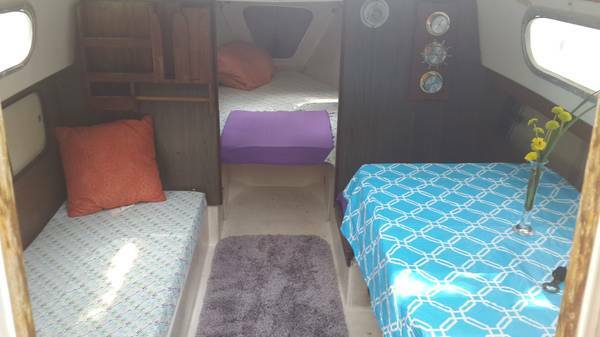 There are a bunch of us with Morgan 24/5's each has a slightly different interior!. Does you hull have a registration plate/stamp or is it registered from a glass "tatoo" (hand notation in glass)? Thanks oyster! yes sir the registration says Morgan. Can't wait to get it on the water but got some cleaning and painting to do first! I can't definitively say whether that is a Morgan 22 since there were a number of similar boats in that era. (A side profile view would help a lot.) But if it is a Morgan 22, they were one of the nicer swing keel boats of that era. They sailed well, were pretty fast, rated well, and seemed to be well behaved in a range of conditions. One thing to check is the swing keel lifting mechanism. I may be remembering this incorrectly and may be thinking of a different boat, but my recollection is that there was a plastic link rod in the lift system and that rod went through a packing gland of some kind and that this rod could fail. My recollection is that some boats replaced that rod with SS or bronze dowels which pretty much were permanent. That sure looks like a Morgan 22 to me. Good luck with her. 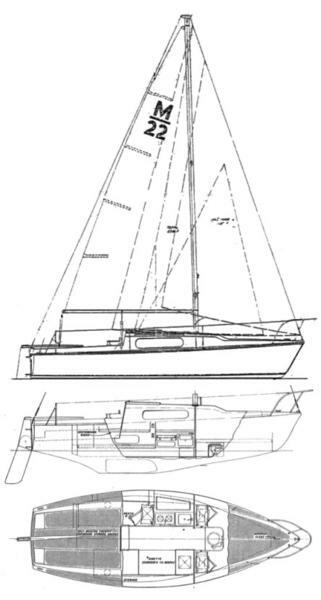 The Morgan 22 was a centerboard sloop, NOT a swing keel. 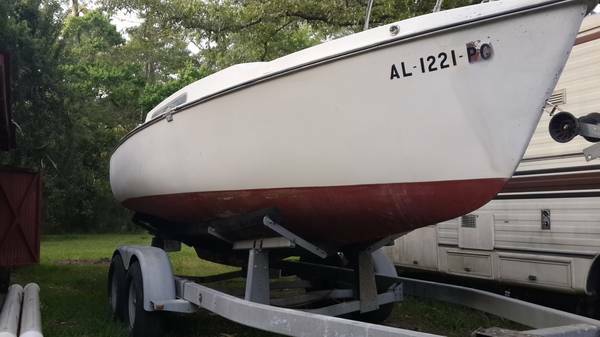 I had a 1971 with hull number 360, named Dark Secret, so the hull number on the questioner's boat looks inaccurate.